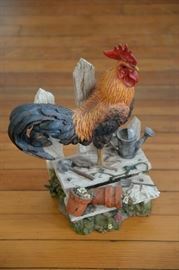 This is another great sale by Antique Eye Candy, which will feature mid-century, antiques, collectibles, vintage tin and porcelain signs, beer signs, tools, yard items and other unique finds. We price to please, so arrive early. Payments accepted are cash, credit, debit, Visa, Master Card or American Express with photo I.D. There is a 3% charge when you use a credit or debit card. No line numbers: first come, first served. All sales are final. We are not responsible for accidents that may occur on the property. There is no public restroom. No parking on Lewis Street. 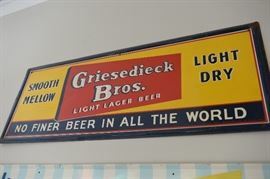 Griesedieck Brothers Beer tin sign in very good shape. Approximately 4 feet long. Dolbi-Cashier Italian vase. 60's-70s era. 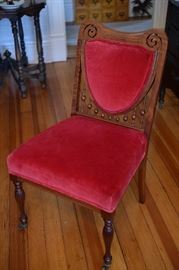 Single vintage chair with velvet seat and back rest. 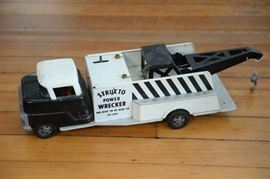 Structo Power Wrecker Tow Truck. 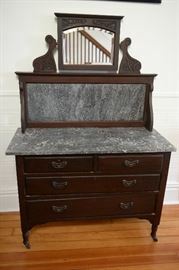 Vintage marble top wash stand dresser. 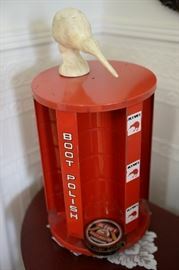 Vintage Kiwi Boot Polish Display. 1960's era- tin Kodak hanging film box sign. Box is 2 feet long. 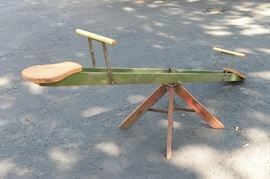 Vintage Prussian soldier Andirons with grill. Set of 4 ice cream chairs. 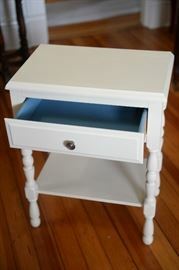 Vintage square folding card table with floral design. Cement donkey for the yard. 2 different poster prints of the St. Louis Arch being built. Comes in the original Kodak print box. 3 foot tall old religious shrine. Kendall Motor Oil 5 gallon can. Old artists case with assorted tools inside. 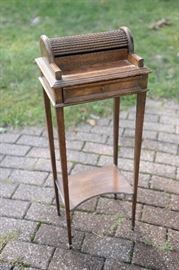 100 year old French child's high chair that folds into a chair and table. 100 year old French child's high chair that folds up into a high chair. New old stock 76 Cola tin sign. Mint condition. 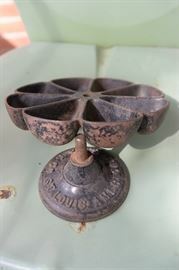 1940's brass blade fan on stand.) Works great. 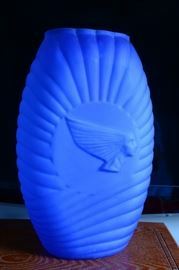 1960s era Past Blue Ribbon light. Vintage single-sided porcelain Freund's Bread sign. 24 inch two-sided Delco Battery sign. 1880's era hand painted two-sided wooden sign. New old stock vintage 1950s-60s King Quality Dairy lighted display. Assortment of vintage Old Crow Wiskey barware. 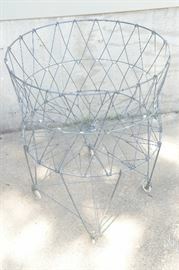 Vintage wicker rolling market basket. Never opened Milwaukee 8 - drawer tool box. Vintage tin Peters Shoes sign. 1987 Spuds Mackenzie Bud Light mascot.